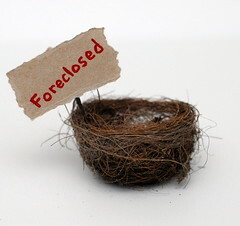 If you have not yet filed your tax return and you have questions or concerns related to your mortgage or, perhaps, even a foreclosure, I recommend that you take a look at the Mortgage Law Network blog. In particular, the blog has some articles out right now that are aimed at educating tax payers about the ramifications of mortgage forgiveness, foreclosures, and taxes about which we should all be more informed. The Mortgage Law Network blog is part of a network which also includes the Bankruptcy Law Network. These blogs consistently feature timely and authoritative articles on their particular subjects,. While I am not a member of these networks, I wholeheartedly recommend these blogs to anyone who has questions or concerns about their financial situation. Another important feature of these blogs is that they provide links to member attorneys who practice in the area of mortgage law and bankruptcy. If you are looking for a mortgage or bankruptcy attorney, in addition to good information on these subjects, these blogs are hard to beat. This entry was posted in Bankruptcy, Consumer Rights, Mortgages & Debts and tagged Bankruptcy, Bankruptcy Law, debt forgiveness, Foreclosure, Lawyers and Law Firms, Mortgage, mortgage relief, taxes. Bookmark the permalink.